THIS ARTICLE EXPLORES THE POSSIBILITY that Muhammad’s belief he was in communion with the divine was due to epilepsy, a neurological disorder that plagued him throughout his life. This is crucial for understanding the shaky foundation Islam rests on because it is based entirely on his claim that God talked to him through an angel. This idea forms the foundation of his religion: “There is but one God, and Muhammad is his messenger” is the primary declaration of faith. Allah, the belief goes, transmitted his eternal word to an angel who then conveyed it to Muhammad either in person or through inspirational means. This is what Muhammad claimed about himself, so this is what his followers believe. 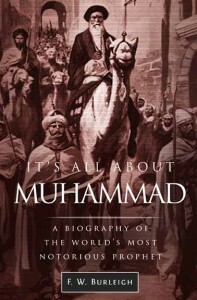 However, to people who undertake an objective reading of the Koran and an examination of his life, the idea that Muhammad communed with the divine may come across as weird, ludicrous, and even revolting. The cumulative details about him in the original literature and in the verses of the Koran paint an image of a grotesquely violent and cold-blooded man, someone who ruthlessly committed crime after crime as he forced what he called “God’s religion” on people. He was anything but godly. Was Muhammad a charlatan then? Or did he truly believe he was in communion with the divine? And if so, what is the explanation for his belief that God talked to him? He certainly had the charlatan in him, and he occasionally played the role in blatantly self-serving ways, but the evidence of the canonical literature is that he was in earnest. He truly believed God had selected him for the role of prophet. One of the strongest proofs is that he maintained a rigorous and exhausting prayer routine throughout the 23 years of his career as “prophet,” which began when he was 40 years old. Not only did he practice the exhausting five daily prayer sessions with the scripted sequences and precise ritualistic motions that he imposed on his followers, but he often spent much of the night in “voluntary” prayer, often standing until his feet hurt. A fraud, a huckster, a flimflam man would have burned out early and would not have fooled people for long. How then can his belief that God talked to him be explained? Schizophrenia perhaps? People suffering from this condition experience the visual and auditory hallucinations that Muhammad reported, but schizophrenics are usually incoherent and unable to function on their own. It is only with pharmaceutical and therapeutic intervention that they are able to find a place in the world, and this only with continuous medical support. Anti-psychotic drugs were not in existence in Muhammad’s day so that if his experiences were the product of schizophrenia, it is unlikely he would have been able to cobble together a “religion” and acquire a following. The only explanation that stands up to an analysis of the original Muhammadan literature is that he suffered from epilepsy. This is the belief that many of his contemporaries held, and it is a theory that has been advanced by his critics ever since, beginning with the Byzantine ecclesiastical historian Theophanes (752-817). He attributed the creation of Islam to a ploy by Muhammad’s first wife to hide the shame of being married to someone with the falling sickness, as epilepsy used to be called, by claiming he was a prophet and was divinely inspired. Russian novelist Fyodor Dostoevsky, who drew from his experience with epilepsy for his novels, commented that the fleeting moments of ecstasy during a fit would have convinced Muhammad he was in communion with the divine. “He did not lie. He had veritably been in Paradise in an attack of epilepsy, from which he suffered as I do.” Dostoevsky noted that the joy felt during a fit is so intensely blissful that one could be tempted to trade a lifetime for just a few moments of such an experience. 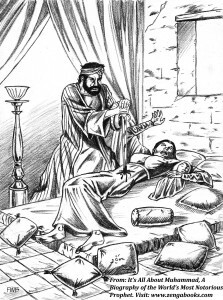 There is no shortage of anecdotal evidence of Muhammad’s epileptic seizures in the canonical works, though in the literature they are given an entirely different explanation. The first recorded episode happened when he was in the care of a foster mother who became so frightened her four-year-old charge was devil possessed — the ancient explanation for epilepsy — that she attempted to return him to his mother, who was also possibly an epileptic based on what is known about her. 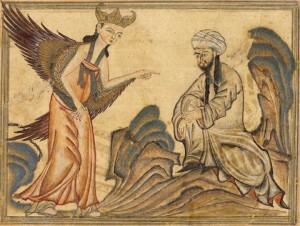 Muhammad suffered epileptic episodes in his youth and early manhood, culminating in what he came to believe was a vision of an angel in a cave on Mt. Hira outside of Mecca when he was 40 years old. In terms of the formation of Islam, the cave experience was the most significant of his epileptic experiences, for it led him to believe he had been given a divine mission as prophet of the Lord, an idea that was enabled and reinforced by his first wife. The details of the Mt. 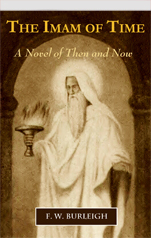 Hira experience betray their neurological source: The story goes that during the cave experience he had a vision of light that “came like the bright light of dawn.” This was followed by a vision of what he believed to be an angel who came to him and showed him a brocaded cloth on which there was writing. This angel played rough because it squeezed Muhammad to the point he could no longer bear the pain, and the angel only stopped when he recited what was on the cloth. At that, the angel disappeared and Muhammad came out of the hallucinatory state terrified he had become devil-possessed or had lost his mind. He rushed out of the cave intending to jump off a cliff. The case for epilepsy is bolstered by the reports of people who were with Muhammad during one of his seizures. He would sometimes fall to the ground as if he were drunk or had fallen asleep on his feet; while unconscious his face would become flushed and sweat would drip from his brow, even when it was cold; in this state his lips would move and his face would often appear anxious. 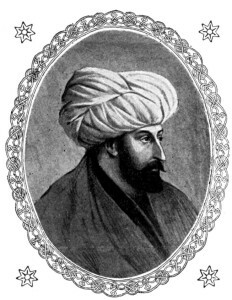 Neurologist Frank R. Freemon, in a 1976 study of the anecdotal accounts of Muhammad’s seizures, concluded that “psychomotor or complex partial seizures of temporal lobe epilepsy would be the most tenable diagnosis” for Muhammad’s hallucinations — the same conclusion that Korkut reached. 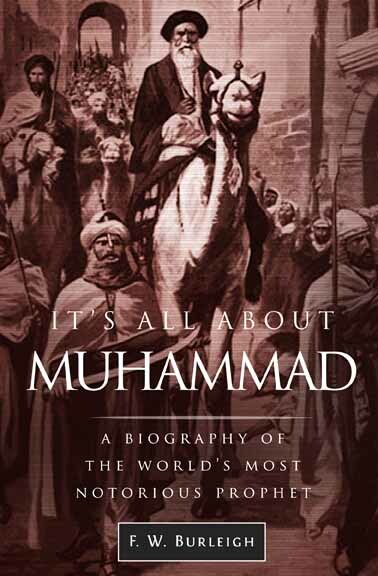 While most of Muhammad’s fits can be deemed genuine, the evidence of the literature is that he was not above faking such experiences. The charlatan in him leaped onto the stage whenever it suited him. 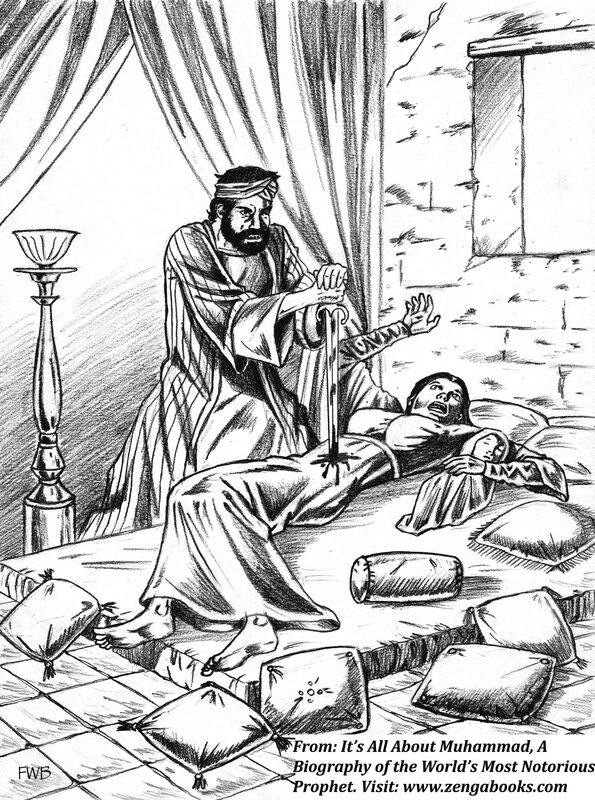 In one of the clearest examples, he faked a seizure to authorize himself to marry Zaynab, the wife of his adopted son. The way it is told, he fell into a swoon one morning while in bed with his child wife Aisha, then 13 years old, and he came out of it smiling from ear to ear. When she asked him what made him so pleased, he informed her that Allah had just authorized him to marry Zaynab. 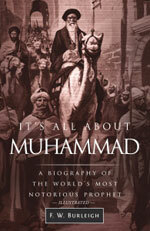 Islam rests on one — and only one — premise: that God talked to Muhammad. This was a claim that Muhammad and only Muhammad made. As far as religions go, it is the flimsiest of premises and can be easily discredited because of the evidence his experiences were derived from a powerful neurological disorder. Further discrediting his claim Is his unending violence toward people who refused to believe him and join his religion and the hate-filled verses of his Koran that oblige his followers to fight and kill or subjugate the “enemies of God,” meaning his enemies. He especially hated people who mocked and criticized him and sent assassins to deal with them. What Muhammad created is based on his delusional belief in himself as the interface between God and man. Islam is nothing more than a reflection of who he was — the institutionalized version of his neurological and psychological pathology. His legacy is one of violence toward anyone who rejected his claim to be “God’s Messenger.” What he created is a cult rather than a religion, the cult of a violent epileptic who believed God talked to him. It is becoming more crucial with every passing day to understand Islam, because with every passing day it become more menacing to the freedom of the non-Muslim world. The recent Muslim attack in Garland, Texas, on an art event displaying illustrations of Muhammad, is only the latest example of its danger. The brainwashed gunmen who opened fire on guards outside the Garland auditorium believed they should kill the participants for disrespecting the founder of their cult with unflattering drawings. They were only doing what their delusional founder commanded them to do. Tempkin, Owsei, The Falling Sickness, A History of Epilepsy from the Greeks to the Beginnings of Modern Neurology, p. 153. LaPlante, Eve, Seized, p. 116. Tafsir Ibn Kathir (The Koran Commentary of Ibn Kathir), vol. 9, pp. 309-310. A 14th century Muhammadan scholar, Ibn Kathir recorded this telling evidence of an epileptic fit, but he did not offer an explanation for why saliva was found on Muhammad’s cheeks. Korkut, Dede, Life Alert, The Medical Case of Muhammad, p. 55. 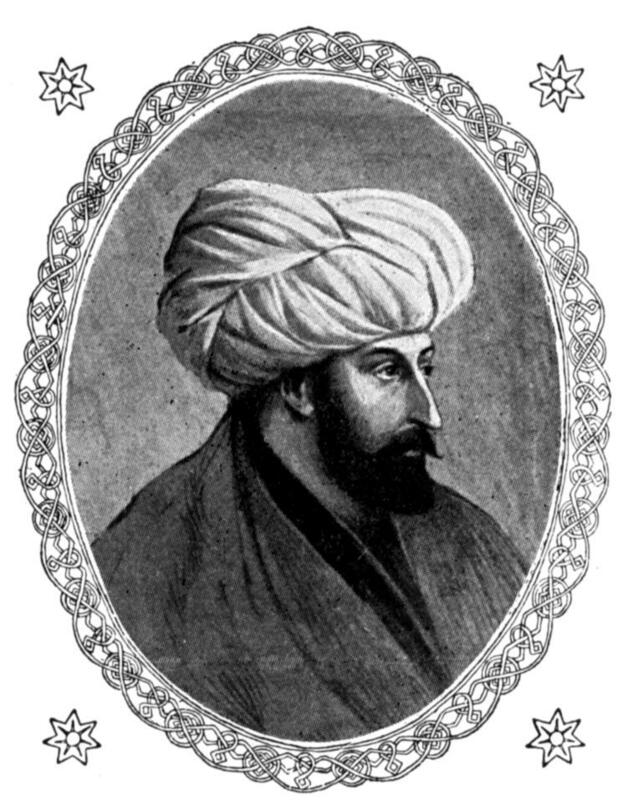 Freeman, Frank R., A Differential Diagnosis of the Inspirational Spells of Muhammad the Prophet of Islam, published in the journal Epilepsia, vol. 17:423-7 (Raven Press, New York, 1976). This article was first published by American Thinker. The article may be used in whole or in part provided the following attribution is given: F. W. Burleigh is the author of It’s All About Muhammad, a Biography of the World’s Most Notorious Prophet. He blogs at www.itsallaboutmuhammad.com.